The vaunted “$100 laptop" that Massachusetts Institute of Technology (MIT) researchers dreamed up for international schoolchildren is becoming a slightly more distant concept. 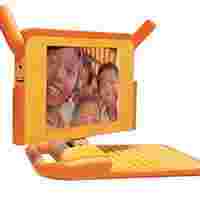 Leaders of the non-profit organization One Laptop Per Child (OLPC) have acknowledged that the devices would cost $188 (Rs7,614) if mass production, expected to begin this Fall, were to start now. The last price the organization had announced was $176; it described $100 as a long-term goal. The $100 laptop, or the “XO" machines, feature an open-source interface designed to be intuitive for children; a sunlight-readable display; very low power consumption; built-in wireless networking; and a pull cord for recharging by hand. The laptops are being made by Taiwan’s Quanta Computer Inc.
George Snell, spokesman for One Laptop Per Child, said the project was committed to keeping the price from rising above $190. While less than $200 for an innovative, wireless-enabled, hand-powered laptop is a relative bargain, a price nearly twice what the project’s memorable nickname promised could make it harder for One Laptop Per Child to sign up international governments as customers.